“Hey it’s Helene!” is what we said when she showed up with her mom and little sister to talk about booking a senior photo session with us. 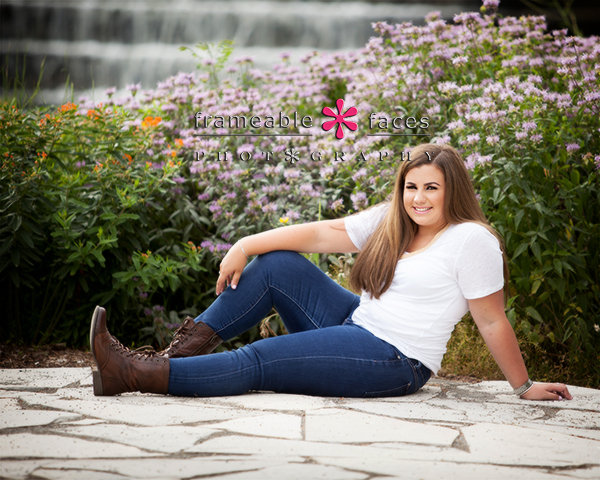 We have known her since she was little, and anytime we photograph a senior we have known since she was little it’s a surreal day for us… Helene isn’t supposed to be this beautiful high school senior yet. Time is certainly flying by and maybe we are getting old! But this isn’t about us – it’s about Helene! And what a sweetheart and what a session! 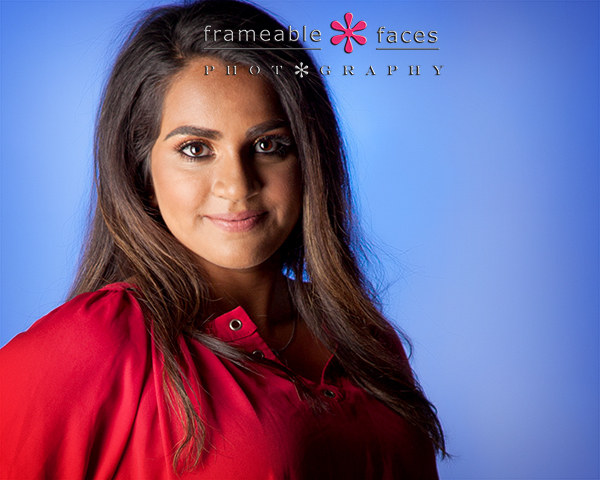 Let’s start in the studio with a black and blowy shot – Helene looks fantastic here! Next we headed out on location and we had a perfect day! Not too hot or humid and great lighting. Helene has a very fun and easy going way about her which made her a pleasure to photograph, and she looked beautiful – here is where we’ll give a little shout out to the team of Selda on hair and Gloria on makeup at The Beauty Lounge down the hall from the studio here in the Orchard Mall. SO pretty! We had a great time photographing Helene and being a part of this time in her life. We hope you enjoyed the results! Sara in the city was a big hit! Senior season is in full gear and we are photographing the class of 2015 pretty much non stop at this point. We will have plenty more of these posts coming up as we are able to churn them out, and we are thrilled to bring you photos from this fantastic city session with Sara! 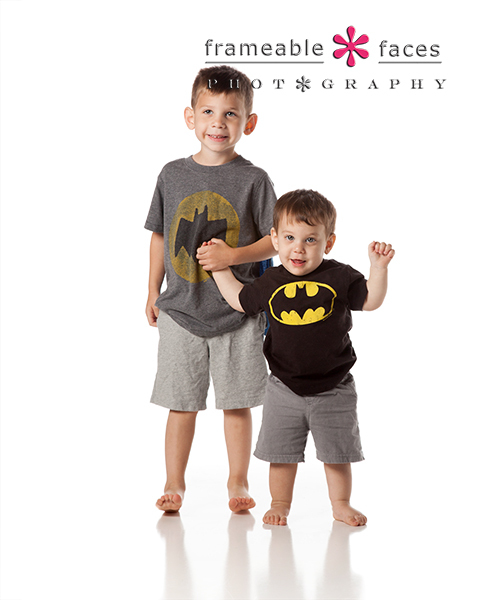 But before we go out to light up the night let’s start back at the beginning of the session with an adorable studio shot! Sara’s mom Kelly was inspired by two different photos on the wall of our studio – one of a little girl looking over her shoulder and another of a one year old holding a massive lollipop – she came up with the idea of combining the two and Sara pulled it off for a memorable and adorable look! After a little more studio work we hit Birmingham for some nighttime fun, and once the sun went down we broke out our location lighting (off-camera light box, Westcott Ice Light) and Sara really turned it on. Lynyrd Skynyrd’s tour bus was parked outside the Townsend Hotel so we used it. Pretty cool huh? "This is my fave!" 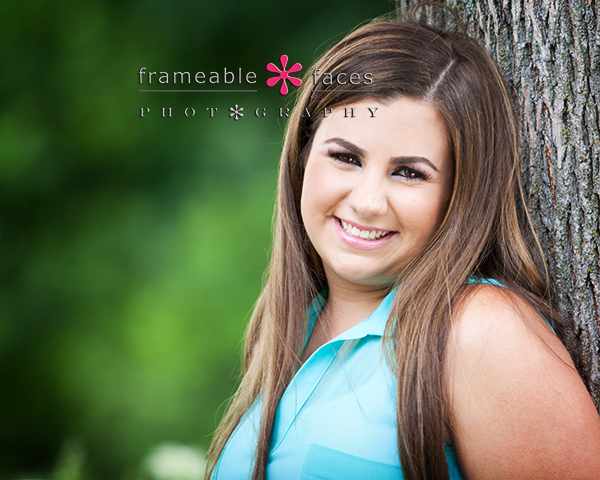 Awesome senior session with sara keebler! @sarakeeblerr Love!!! What a night huh? We enjoyed every minute with Sara in the city and we hope you enjoyed the photos! 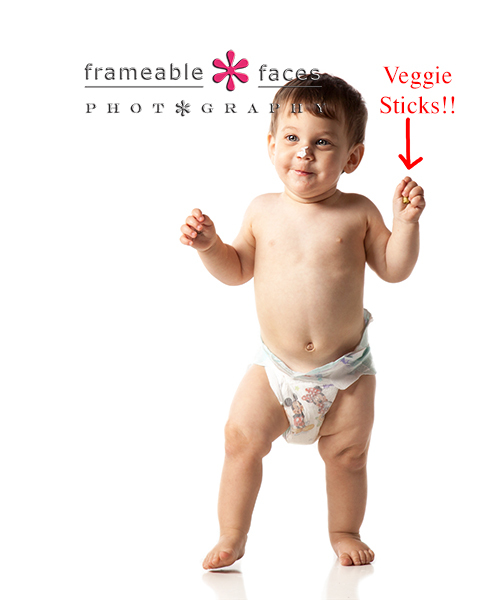 One Year Olds Love…Veggie Sticks? 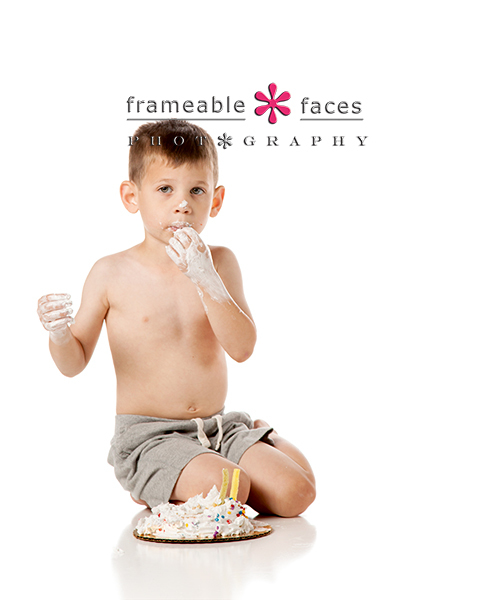 FOUR Year Olds Love Cake! 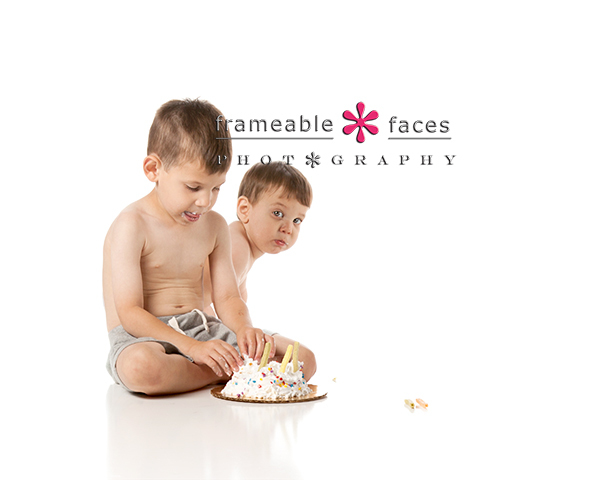 Yes we had two of our favorite brothers back again for younger brother’s one year old photos and older brother’s four year old photos, and we planned a cake smash as we often do to celebrate and capture a first birthday. Meanwhile we have been photographing these guys since before the older brother was born with maternity photos when he was in utero! We are always excited to have them back – their sessions are usually memorable for various reasons and this adventure was no exception! Then it was time for the cake smash which all one year olds love right? Uh…. right? Well, maybe not! Everyone tried to get him to indulge and he just wasn’t having it. He opted for the veggie sticks! Smart kid! You can never have enough vegetables in your diet right? Maybe he’ll be a doctor or a nutritionist or a chef! We even tried putting the veggie sticks in the cake! Meanwhile big brother wasn’t going to let a perfectly good cake go to waste, so he dug in! This made for a lot of laughs as you can imagine. Here is a fun vine with some highlights of the session. #CakeSmash gone awry? B-day boy not so interested but big brother is! Lol!!! Alesha Leads The Way For The Class of 2015! 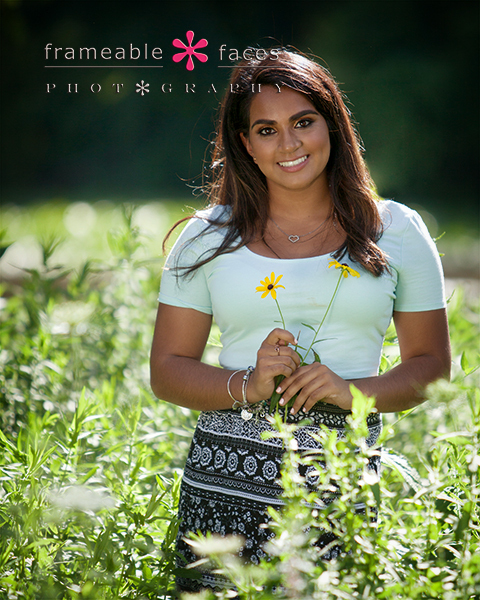 Alesha leads the way for the class of 2015 with these photos from her spectacular senior session! You already saw 14 members of this class as spokesmodels and those are “our” sessions where we test out new ideas. 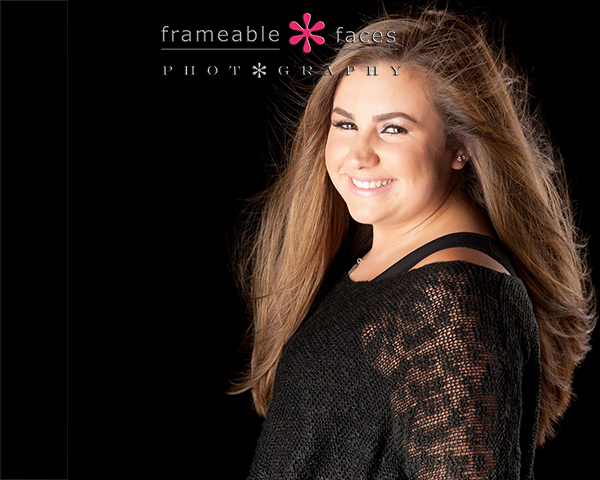 We wrapped those up and now going forward the class of 2015 sessions belong to the seniors! Next we moved over to the white, but with a blue gel. Using colored gels over our lights allows us to manipulate the color a bit which gives us a cool look. Alesha looks great in the red against the blue! This would probably be a good time to give a shout out to Gloria at The Beauty Lounge for the makeup with this close-up! Love love love these next two photos – the lighting and all the green in this one is amazing! Alesha has a natural and easy smile and this photo just works. Alesha was a trooper – it’s a little yucky where she got in the water and she stood there and waited for one very large cloud to pass so we could get the lighting we wanted! We took a series of photos here and here is one we like that has a bit of a unique look in black and white. We enjoyed our time with Alesha and we are so glad to know her! We hope you enjoyed these photos! 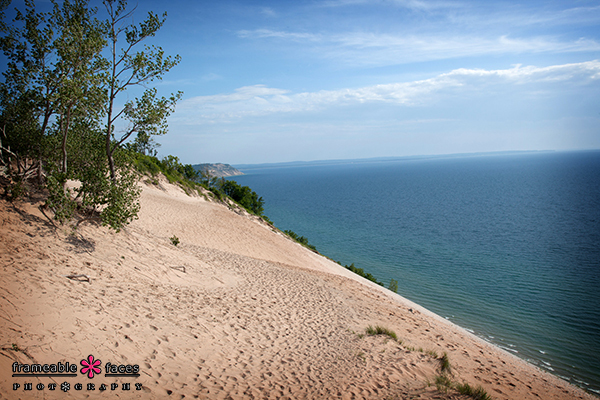 Sleeping Bear Dunes National Lakeshore is an incredible place, and if you haven’t been there I highly recommend making the trip. 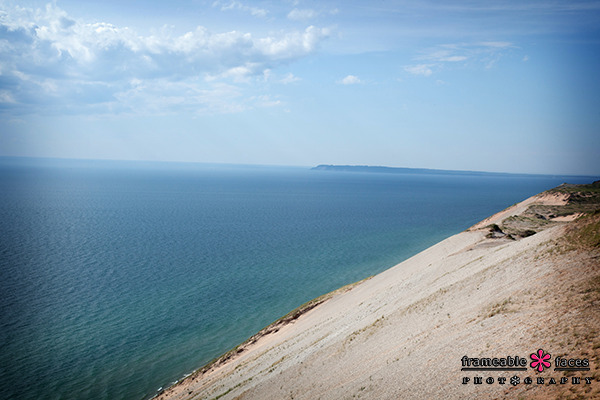 We are huge fans of our National Parks and this one is only a little more than 4 hours from West Bloomfield, Michigan where we live depending on traffic. We were able to get away for the holiday weekend with our kids and we went “Up North” which is where many Metro Detroiters go during the summer to relax. 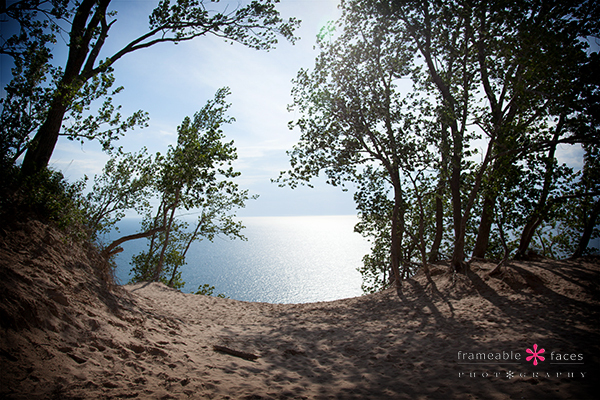 “Up North” is not necessarily the Upper Peninsula – it’s just a few hours north of Detroit where things are generally beautiful and relaxing. We hung out on Higgins Lake, hit the National Cherry Festival in Traverse City and then headed over to Sleeping Bear Dunes for our last full day up there. Ally doesn’t do a ton of landscape photography, but she brought her camera along for the trip. It was well worth it. She was able to capture some really nice photos and we are excited to share them here! 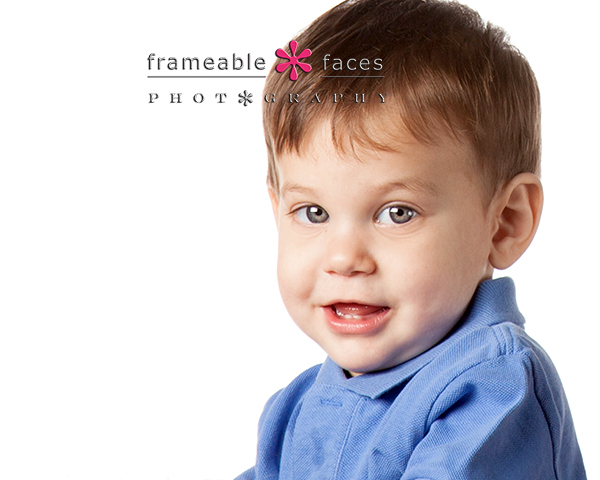 Not everything that is “Frameable” has to be a face… ha! 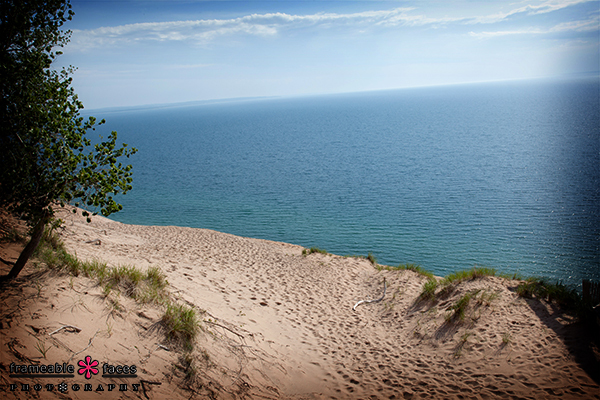 These photos were taken along points of the Pierce Stocking Scenic Drive within the park. We did the Dune Climb before we drove the scenic route and we weren’t really prepared with a proper backpack to take the camera up the climb. The climb is just pure fun (and tough) especially when you turn around and bound back down the sand. 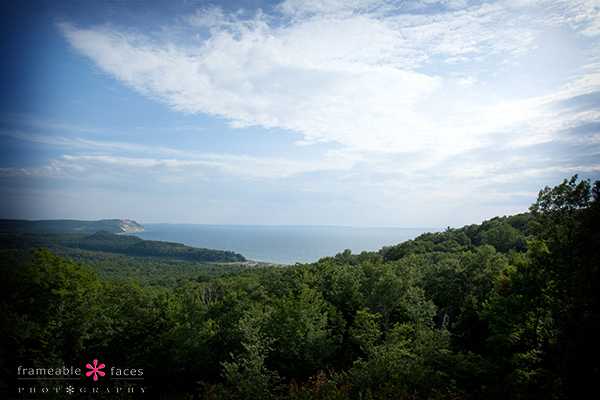 As for the scenic drive a few of the overlooks are simply majestic looking out over Lake Michigan. 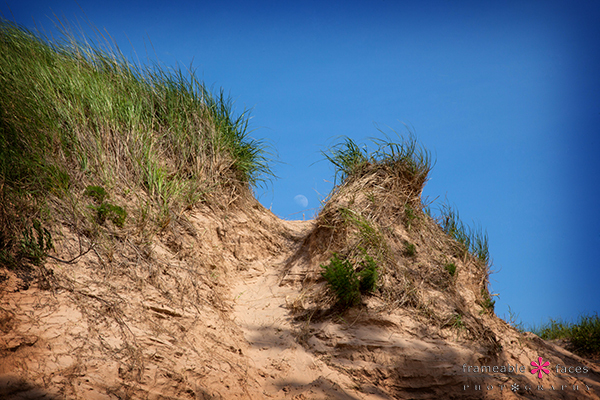 This next shot is the only thing here I’m taking partial credit for – as I was walking along a path the moon caught my eye through this little gap in a dune and I called Ally over to stand right where I was standing to get the shot. The rest is all Ally and her amazing craft – her eye and her talent! We hope you enjoyed these and they gave you just a taste of what this beautiful park has to offer!